Singing in the shower is one thing, but learning to sing in concert with a group or as a soloist is another. So, do you dare to be a singer and really move forward with the talent you have? 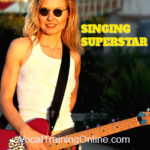 If you’ve always dreamed of really singing well, you don’t have to be a “natural born” vocalist to accomplish your goal. Both you as a singer, as with the surgeon, only need the desire and dedication to learn. But, do you have what it takes to be a singer? 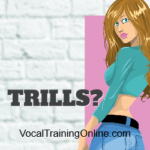 Have you ever wondered how a professional vocalist can sing high or low, loudly or softly, and never appear to be straining? Nine times out of ten, they weren’t born knowing how to do this. Nope, they trained their voices until they were able to reach their maximum vocal potential. Whether it was through a personal voice trainer, a singing manual or an online singing course, somehow they graduated from simply singing around the house to training the voice for optimal performance. When singing, your voice is considered to be the instrument. And, an instrument is something a person plays skillfully to create beautiful sounds. The voice, as an instrument, functions in a similar way. You can learn new notes or sounds and train your voice to reach those sounds through practice. Reaching high musical notes naturally is called speech level singing. This type singing is similar to practicing with a guitar or piano, except all you’ll need are your vocal cords. So, your voice becomes the most affordable instrument you’ll ever play! Your voice is unique in that it makes a distinct sound when talking or singing. Even if you feel that your singing voice is terrible, singing lessons reveal the type of singing you were meant to accomplish. Some voices are high. Others are low. Some people can sing on-key every time. Others must train their ear as well as their voice to learn how to hit certain notes. Singing lessons might reveal that you are an alto, when you were trying to sing soprano all along! Once your voice finds its place on the musical scale, you can blend beautifully with others or sing solo songs that were meant only for your unique voice. 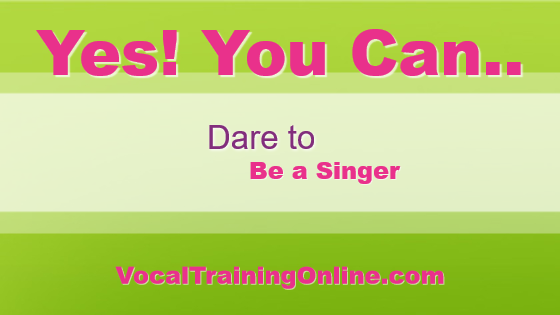 So, Do You Dare to Become a Singer? If you are willing to do the following, then you probably do have what it takes to be a singer. 1) Begin voice training with either a personal voice instructor or take online singing lessons. 2) Follow the lessons closely, and don’t be afraid to step out on a limb to take your voice to new heights. 3) Do necessary vocal warm up exercises to keep your vocal cords healthy. 4) Eat and drink foods or liquids that are going to benefit your singing ability, not hinder it. 5) And, most of all – practice, practice, practice! Get Your Singing Goals Together – Then, Go For It! Before enrolling in singing lessons, write down some goals for what you would like to accomplish with your singing. in a church choir or as a soloist? As a performer in the music industry? Whatever your goal, write it down and hang it somewhere to motivate yourself as you train your voice. Also, keep a high quality recorder to record your singing as you progress. Make a recording of yourself now, and then once every few lessons to see how your voice improves with the lessons. You’ll be amazed at the difference. Even if you were a fairly good singer before, you can always improve your singing voice. Shoot for the stars with your singing. You’ll be using your voice as a musical instrument in no time! 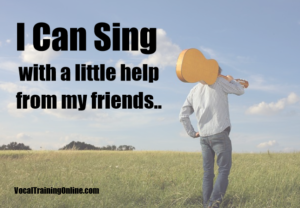 Learn how to start your singing adventure right now – Watch the video. Need More Help to Be a Singer? If you feel you need structured singing lessons to improve your voice, you’ll find plenty of options online. The course I recommend is called Singorama and it’s available now. 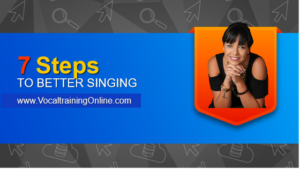 With this singing course, you should see marked vocal improvement in a short time. ==> Get started with Singorama now..
Why Do 30,000 People Use This? 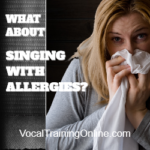 Can You Sing With Allergies? It’s a known fact, during the Spring & Fall months, singing with allergies becomes a common issue. And, there is no simple solution. However, it is possible to do something about it. Allergy treatment ranges from coughing up remedies at home to seeking a professional. 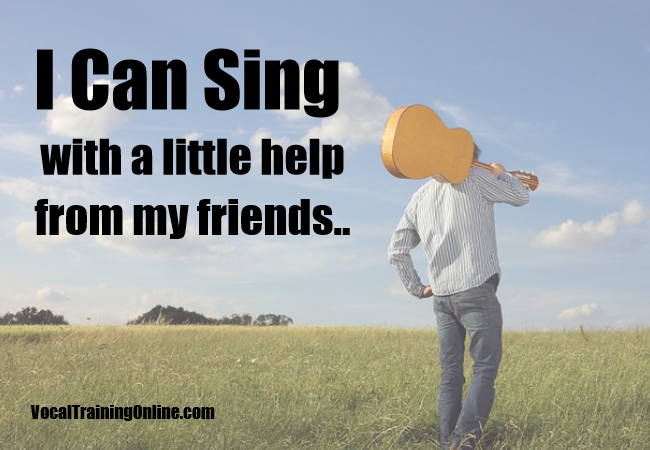 So, read the post to see if you find the right answers to your singing challenge.